In a new addition to his "A to Z of theory" series, political theorist Andrew Robinson introduces, in a two-part essay, the work of Samir Amin, one of the leading theorists of World Systems Analysis and dependency theory. In part one, Robinson introduces Amin's approach to global accumulation and "Maldevelopment". 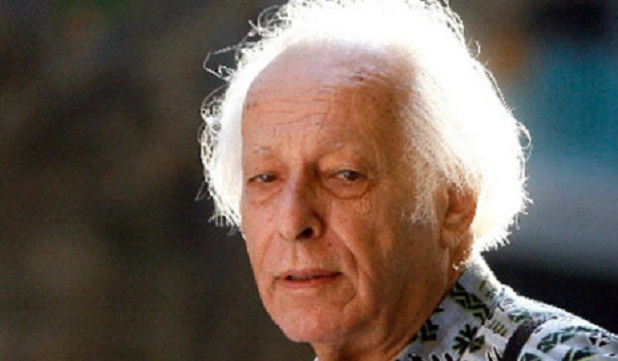 Samir Amin, an Egyptian economist currently based in Senegal, is one of the leading theorists of World Systems Analysis and dependency theory. He is a major influence on the grouping around Monthly Review journal. His main contributions to radical theory have been in the field of international political economy. In contrast to mainstream economics, which compares national economies as distinct units or ‘billiard balls’, dependency theory views the world economy as a single, integrated system. The system of exploitation of labour and the system of states are indistinguishable. As such, the system of states is an effect of the global expansion of capital. Hence, rich and poor nations are analytically inseparable; they cannot simply be juxtaposed. This is as true in the present phase as in earlier history. Amin views globalisation as an extension of capitalist imperialism. Dependency theory has been very much out of fashion in development studies of late; but, in my view, this is for political rather than empirical reasons. The dependency model still fits closely with the reality of uneven development premised on the enrichment of globally-dependent local middle-classes in the South. It is very much relevant to the issue of globalisation. It is out of fashion mainly because this stratum has obtained power in most of the South, to such a degree as to make alternatives invisible. Amin’s work is thus very relevant in understanding global inequalities and capitalist structures today. According to Amin, underdevelopment is not a lack of development. It is the reverse side of the development of the rich countries. The rich countries depend on the active exploitation of other countries, which renders the latter ‘underdeveloped’. In works such as Accumulation on a World Scale and Maldevelopment, Amin argues against neo-classical economics from a class perspective. In common with other dependency theorists, he argues that the global economy systematically favours the continued enrichment of rich countries at the expense of poor countries. Throughout its history, capitalism constantly expands. Amin argues that mainstream economics simply theorises the management of capitalist expansion, and ignores the role of social conflicts in development. He argues that capitalist expansion starts at a certain place and time, but tends to expand globally. Historically, it is divided into three phases. In the mercantilist phase (1500-1800), international exchange is created, partly through the looting of countries such as India and China. It is only after this looting that other parts of the world ‘fall behind’ European development. In the second, competitive phase (1800-1880), capitalism expanded through competition, based on the advantages it had already established. In the third and current stage (1880 to today), ‘monopoly’ capitalism, capitalism prevents declines in the rate of profit through the mechanism of unequal exchange. Amin disagrees with Marx’s view of crisis resulting from the declining rate of profit, which he thinks has been moved beyond today through the device of monopoly. The global model is monopolistic, establishing monopolies for the core countries on technology, control of financial flows, military power, ideological and media production, and access to natural resources. Unequal exchange is the main means whereby capitalism reproduces inequalities. The rich countries create an international division of labour in which they subordinate and exploit other countries (Originally, they did this directly, by colonial conquest). Monopoly systems lead to ‘super-profits’, above the level which can be made in competitive markets. This means the beneficiaries of imperialism can’t be out-competed in world markets. The global rankings are locked in place, despite ‘free’ market processes. Development in poor countries in this context tends to be a ‘development of underdevelopment’. They undergo economic growth, but in ways which do not contribute to long-term development. Their surpluses are expropriated by rich countries, rather than used locally. Today, major means of surplus-extraction include structural adjustment and debt repayment. The world is divided between rich ‘centre’ countries and poor ‘peripheral’ countries. Centre countries are less structurally dependent than peripheral countries, and tend to produce mainly capital goods and consumer goods. Accumulation in centre countries is cumulative over time, whereas accumulation in peripheral countries is stagnant. This is because of differences in pricing mechanisms for raw materials and produced goods. Produced goods tend to go up in price over time, whereas raw materials stay at the same price or are unstable. In addition, whereas wages in rich countries keep up with development, those in poor countries do not. This is because wages in poor countries are not connected with global labour markets, and because states in poor countries tend to suppress social movements which would win increased wages. The global market is, according to Amin, distorted, because equally productive workers are paid at different rates in different countries. Workers with the same skills may be earning dozens of times as much money if they are in rich rather than poor countries. This is unequal exchange: it exchanges one hour of productive work in a Northern country for many hours of similarly productive work in a Southern country. Amin does not believe that globalisation will affect unequal exchange, because unequal exchange is the major motive for companies to outsource to poor countries. Global capitalism thus integrates commodities and capital, but refuses to integrate labour. This provides connections between issues of global policy and struggles around migration, which in principle could integrate global labour markets. Another recent movement to address unequal wealth, from a perspective distinct from Amin’s, is the Fairtrade movement, which aims to provide fairer rates of pay for producers. Overall, however, the mechanism of unequal exchange remains intact. The world-system functions through a division of labour among countries. Poor ‘peripheral’ countries are assigned the role of providing low-value inputs into global processes, at below their actual value. The periphery specialises in producing primary goods – such as agricultural crops and mined ores – which are mainly exported to the centre. Unlike the centre, the periphery is primarily focused outside itself. The agrarian sector thus tends to predominate in the economy of poor countries. Furthermore, the local bourgeoisie tends to develop in a dependent way, subordinate to foreign capital. A local (state or middle-class) elite, known as the ‘comprador’ class, act as the local enforcers of global power on the basis of their own class benefit in obtaining payoffs from exploitation. A series of economic distortions emerge, relative to the development of rich countries during their own emergence into capitalism. These include bureaucratic overspending, excessively rapid urbanisation, structural imbalances within the economy, reliance on external aid flows, and the redistribution of local incomes towards the comprador class. The effects of the global market are taken to ‘distort’ production towards export, primary raw materials, and light rather than heavy industry. In agriculture, peasant production is replaced by commercial agribusiness, which depends on imported components and export markets. This does not preclude temporary economic ‘miracles’, but the long-term tendency is towards stagnation and blockage. The structure is self-reinforcing. It becomes impossible in almost all cases for a peripheral country to ‘develop’ out of its peripheral position. Peripheral capitalism also differs from core capitalism in other ways. In the periphery, capitalism is only loosely articulated with culture. While dominant, it is also articulated with pre-capitalist economic forms. Amin sees Southern states as operating in a partly ‘tributary’ mode of production with pre-capitalist features. Often, reproduction costs (the cost of making sure capitalism has workers to exploit) are subsidised by non-capitalist economies. For instance, childcare might be supported in rural subsistence economies, allowing workers to be paid lower wages. Poor countries are also financing their own exploitation. For instance, profits from Gulf oil, invested in American banks, American government debt or extracted through the profits of foreign oil firms, financed the recolonisation of the Gulf by American forces. Dominance over natural resources (in this case, oil), and in military technology, is used to reproduce global monopoly power. The relationship between rich countries and poor countries in Amin’s theory is very similar to the relationship between bosses and workers in Marxism. Such events have affected the rest of social life. In politics, neoliberalism has disconnected the actual functioning of the class struggle (which is now global) from the level at which political contestation occurs. Politics across the world is resultantly empty, and is filled by distractions such as populism and social conservatism. Amin refers to this trend as ‘low-intensity democracy’, since elected regimes have little power in relation to the forces of global capital and therefore conditions of life. He believes we are in a ‘hollow’ or ‘reflux’ period, in which compromise is to be expected, and the conditions for rupture are so far absent. Yet he continues to insist on a necessity to swim against the tide and to refuse to yield to the demand for international competitiveness. Amin’s critique is similar in some respects to postcolonial theory. In Eurocentrism, Amin argues that it is a mistake to view Europe as a historical centre of the world. Only in the capitalist period has Europe been dominant. Earlier phases taken as ‘European’ were actually centred on a Mediterranean region, which was the core of the ancient world economy. For Amin, Eurocentrism is not only a worldview but a global project, homogenising the world on a European model under the pretext of ‘catching-up’. In practice, however, capitalism does not homogenise but rather, polarises the world. Eurocentrism is thus more of an ideal than a real possibility. It also creates problems in reinforcing racism and imperialism. Fascism remains a permanent risk, because it is nothing more than an extreme version of Eurocentrism. Amin’s recent works have analysed the current, neoliberal phase of the world-economy and the ‘war on terror’. In The Liberal Virus, he argues that the network society is simply a lyrical outburst of ideology. The reality is an increasingly stark global apartheid. He also argues that the concept of ‘poverty’ is problematic in its assertion of a brute fact. According to Amin, the poor are not simply lacking, they are actively impoverished by processes which are constantly reproduced, and which are getting worse. Hence, he refers not to poverty but to ‘pauperisation’. He argues that the global popular classes are increasingly being pauperised through resource grabs and surplus extraction. In analysing the ‘war on terror’, Amin suggests that it is an effect of a particular historical conjuncture. The especially crude American version of capitalism, lacking in nuances and long-term perspectives, is seeking to globalise itself through resource grabs. This is partly to compensate for its uncompetitiveness relative to other central capitalisms. America is also taken to have an extreme ideology in which the existence of others is conditional on not obstructing the American ‘herrenvolk’ in taking what it needs. He argues that American aggression should be contained by an alliance of other states. He also argues that a split has emerged between an integrated core economy and a political system dominated by one state. America has taken on the role of policing the world economy by suppressing peripheral revolt. Nationalism is criticised as a bourgeois ideology, through which the proletariat are integrated into nation-states. The nation did not pre-exist the nation-state. It is a product of capitalism, and was created by state violence as well as capitalist markets. It is also incomplete. It assimilates to the nation the virtues formerly claimed by the aristocrat, leading to racism and jingoism. Nationalism was artificially exported to Eastern Europe and much of the South: it does not spread everywhere due to capitalism. The state is the actor which sometimes creates or recreates the nation, and sometimes fails to do so. Amin does not believe that liberation movements in the South are nationalist. However, he sees possibilities for nationalist and populist currents to be drawn into movements for “delinking”. Amin also dismisses ‘fundamentalisms’ and ethno-nationalisms as politically reactionary and irrational. They are simply something people use to fill the vacuum of the lack of class politics. For instance, he analyses political Islam as primarily a form of cultural belonging through a ritual assertion of group membership. This obscures actual class dichotomies. While political Islamists provide some effective services, these are ultimately simply charity because they fail to provide means to destroy the conditions which create misery to begin with. Furthermore, political Islamists tend in the last instance to side with capitalism and with elite interests in Muslim countries. He also denies they have their own theory of political economy. Rather, they reproduce features of the tributary mode of production. He also considers Green thought to be a variety of fundamentalism, mainly based on a superficial reading of certain theorists. In his works before the current phase, Amin also gave considerable attention to the eastern bloc. Eastern European and Chinese ‘socialism’ was a stage of separation from the world economy to pursue autocentric development. They did this in pursuit of rationalities separate from capitalism, though he maintains Eastern Europe was actually statist rather than socialist in its economics. Amin has been proven wrong on his view that reintegration of the eastern bloc into global capitalism is unlikely. Amin also theorises further divisions into stages, based partly on Kondratieff wave theory. 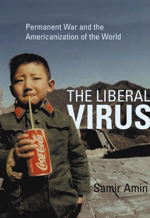 The current composition of the world-system was created after World War 2, with America as the global leader. This phase was expanded from 1945-55, and was expanded through autonomy movements in the poor countries. During this ‘Bandung era’ (1955-75), poor countries tried to ‘catch up’ with rich countries through industrialisation on unequal terms. The third period (1976-91) saw the three pillars of this world order – Fordism, Soviet growth and the Bandung project – go into crisis. Capitalism has responded to this crisis in the current period with neoliberalism – attacking wages and welfare provision, and curtailing the economy which peripheral elites had obtained. Capital has shown that it prefers second place in a world market to first place in an autonomous economy. Amin refers to one effects of neoliberalism as ‘recompradorisation’ – the restoration of the comprador nature of local elites in peripheral countries, through the destruction of their autonomy. According to Amin, peripheries have now been industrialised, but are still subordinated to the centre’s monopolies. He also believes capitalism has been disintegrating for most of the last century. Amin insists on the importance of struggle to a greater degree than many world-systems analysts. He criticises other world-systems analysts, such as Arrighi, for seeing capitalism as more inexorable and total than it actually is. Amin believes that history is created through a series of clashes between the capitalist logic and social forces which resist it, which he terms ‘anti-systemic’ forces. The latter make history as much as does capitalism. Indeed, future developments are mostly shaped from the outside in, starting from resistance at the periphery. Andrew Robinson is a political theorist and activist based in the UK. His book Power, Resistance and Conflict in the Contemporary World: Social Movements, Networks and Hierarchies (co-authored with Athina Karatzogianni) was published in Sep 2009 by Routledge. His ‘In Theory’ column appears every other Friday. Such a great platform for ideas and for ideals sharing.